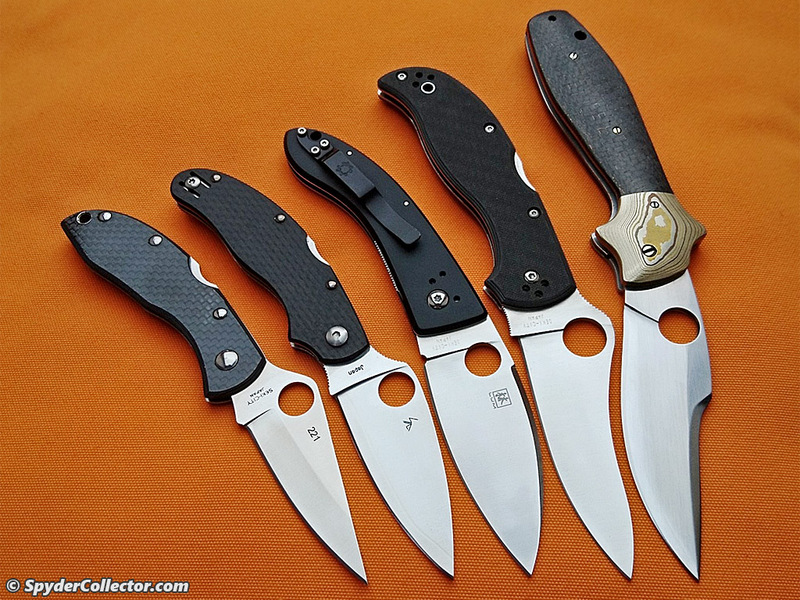 I am no steeljunkie. 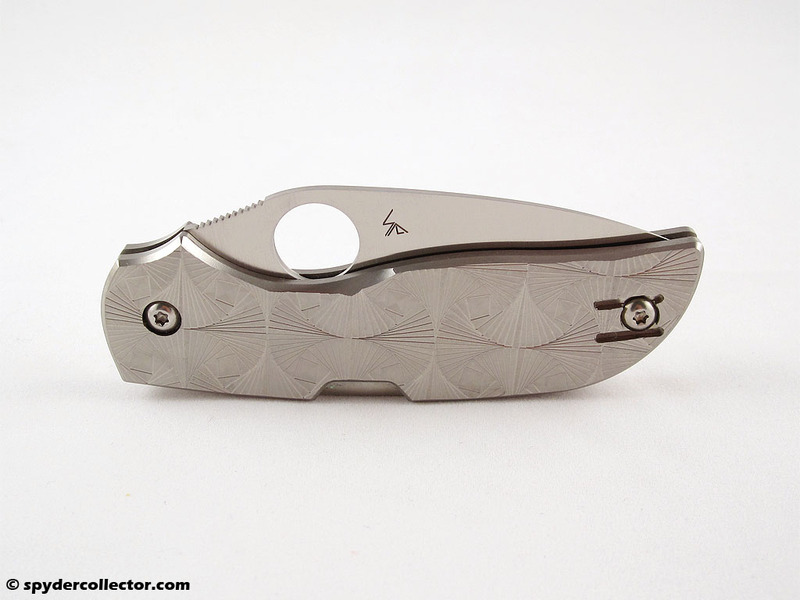 In fact, I prefer stainless blade steels because I like their performance just fine and I can keep them looking nice. 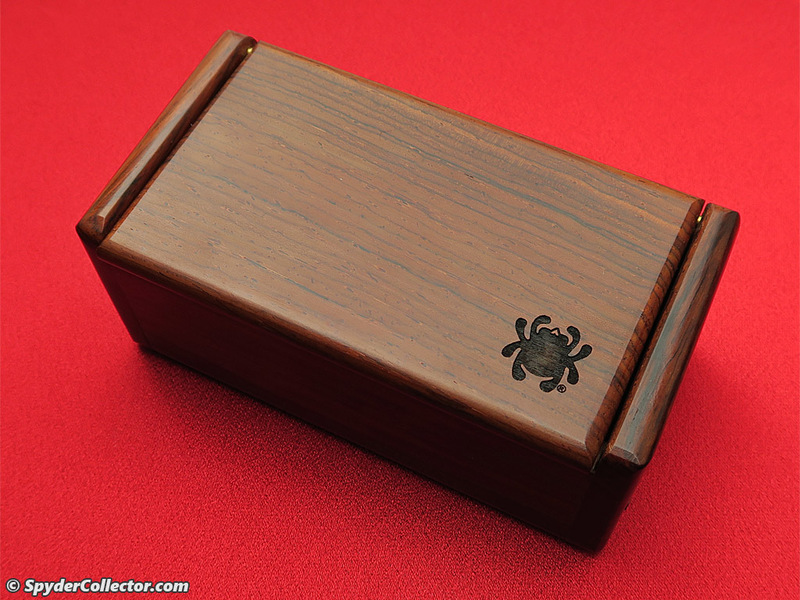 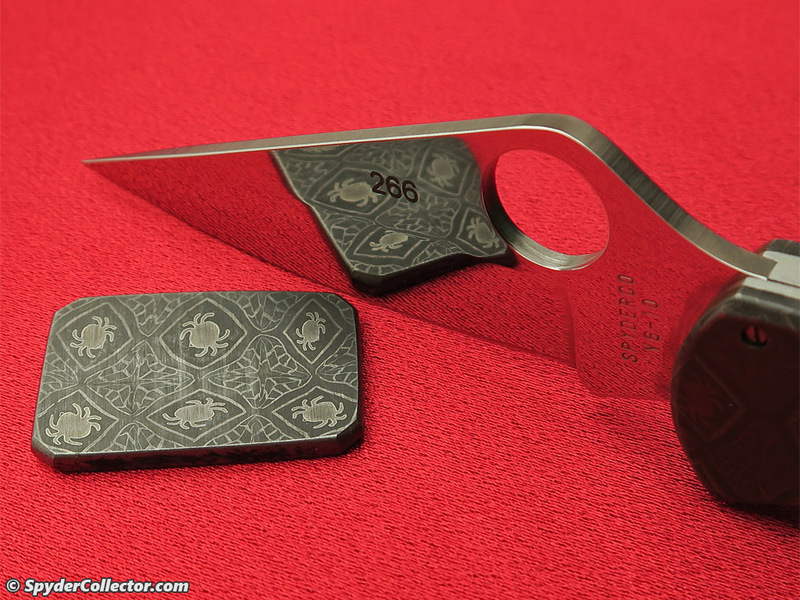 I love high performance steels, but my inner-collector wants to be able to keep those instruments looking great. 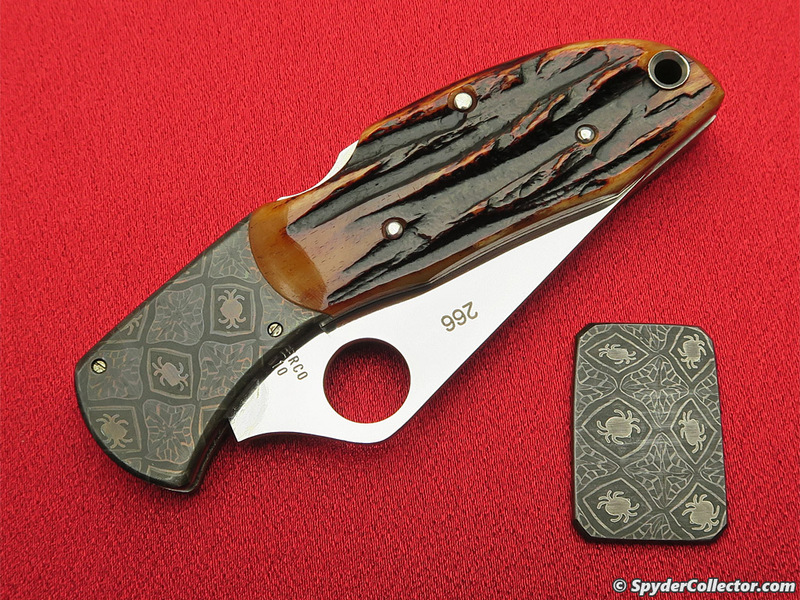 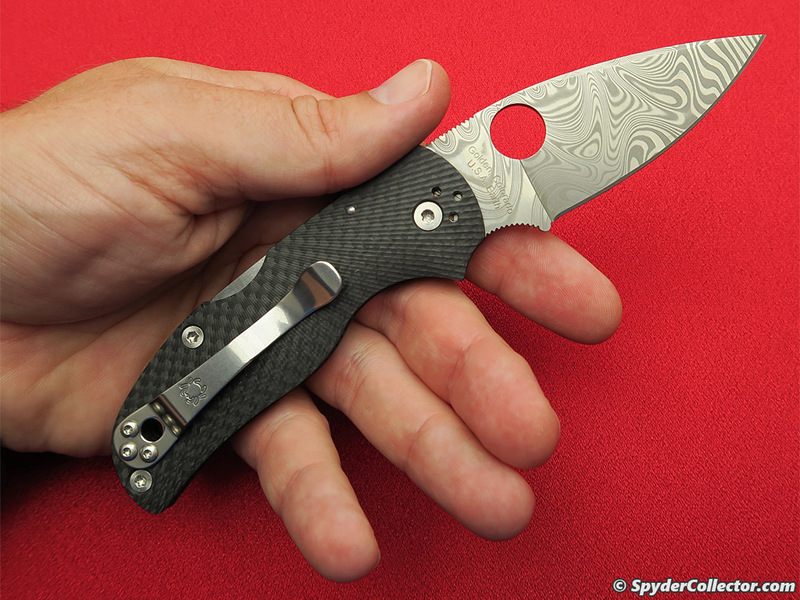 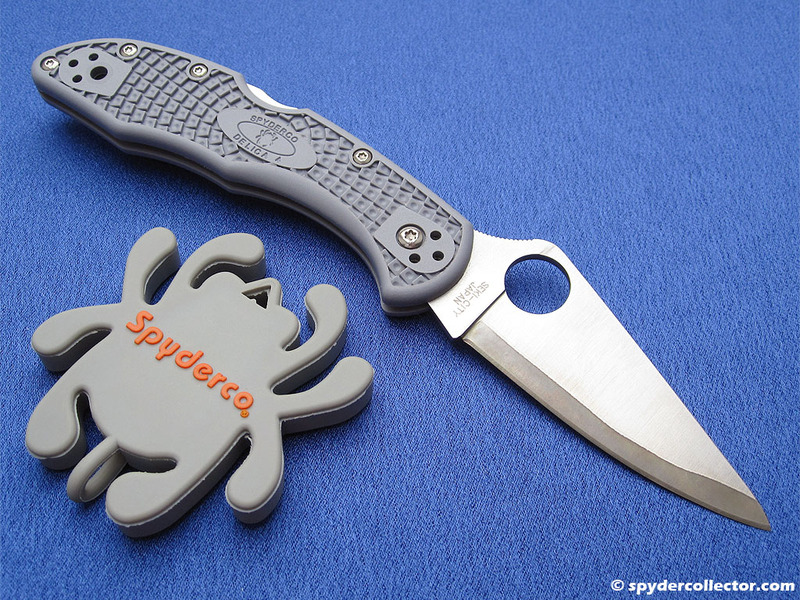 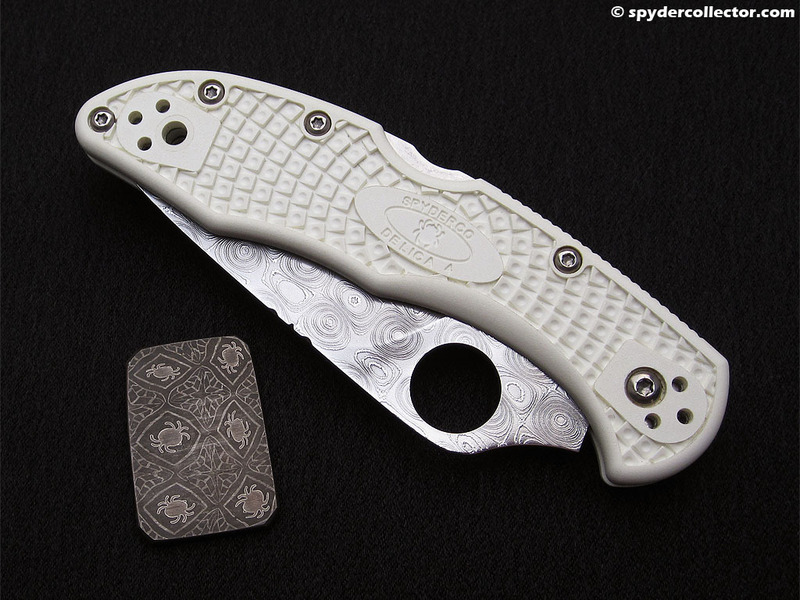 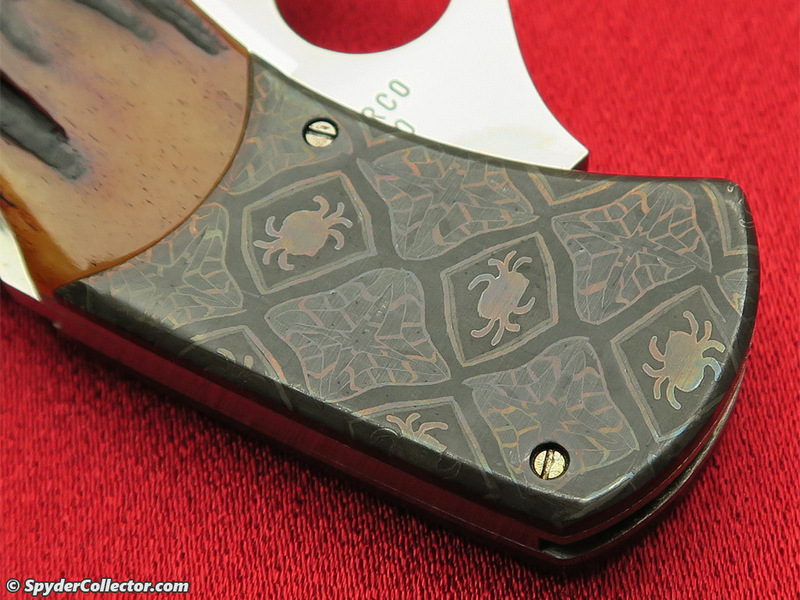 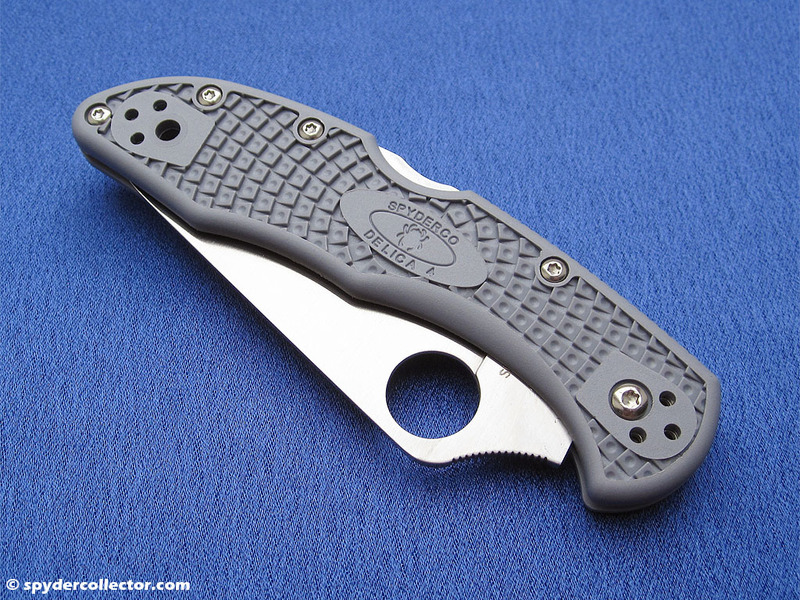 This is why I wasn’t terribly excited when the first Super Blue sprint runs came out of the Spyderco factory. 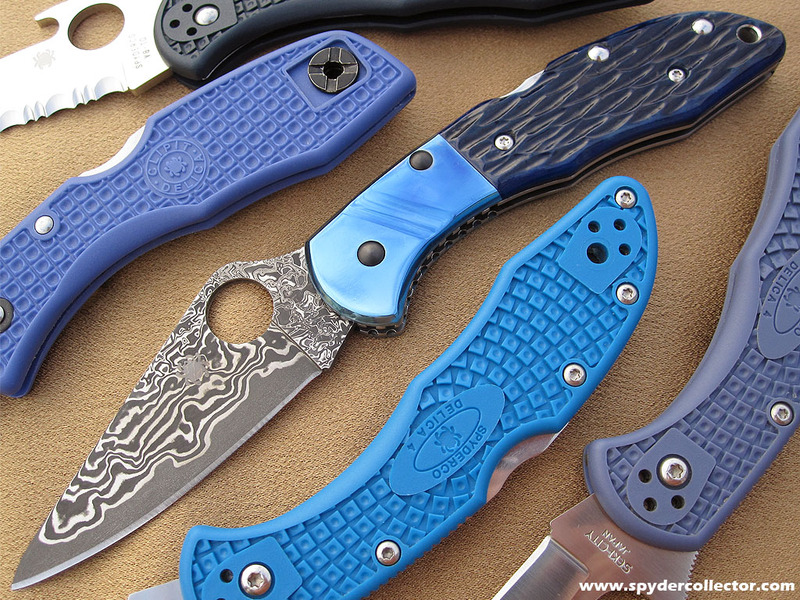 Those full Super Blue blades seem to tarnish like the knives of yesteryear. 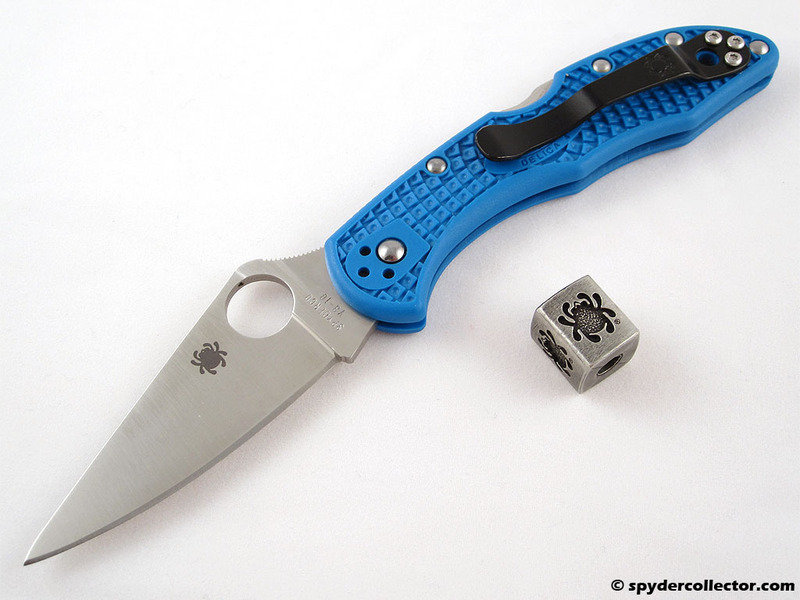 However, a laminated Super Blue sprint was just right for someone like me. 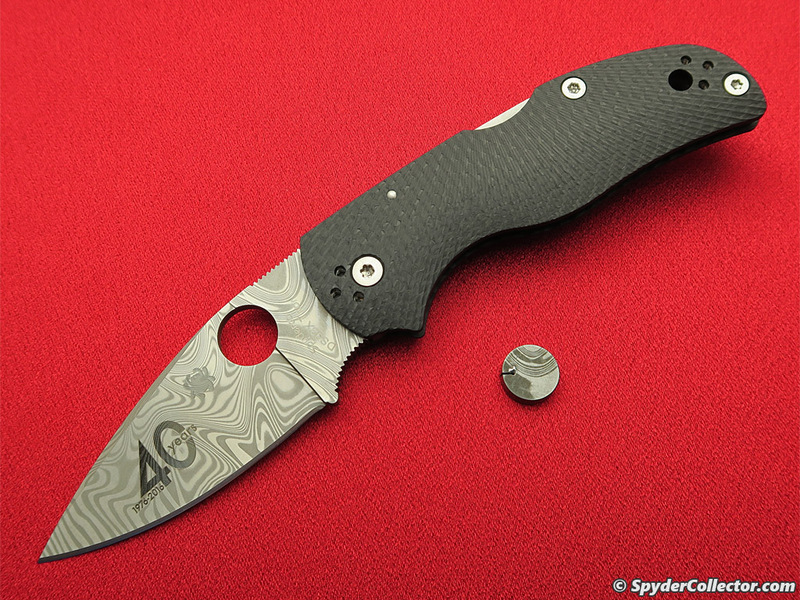 It offered a chance and excuse for me to try out this steel, and the blade would still look great afterwards. 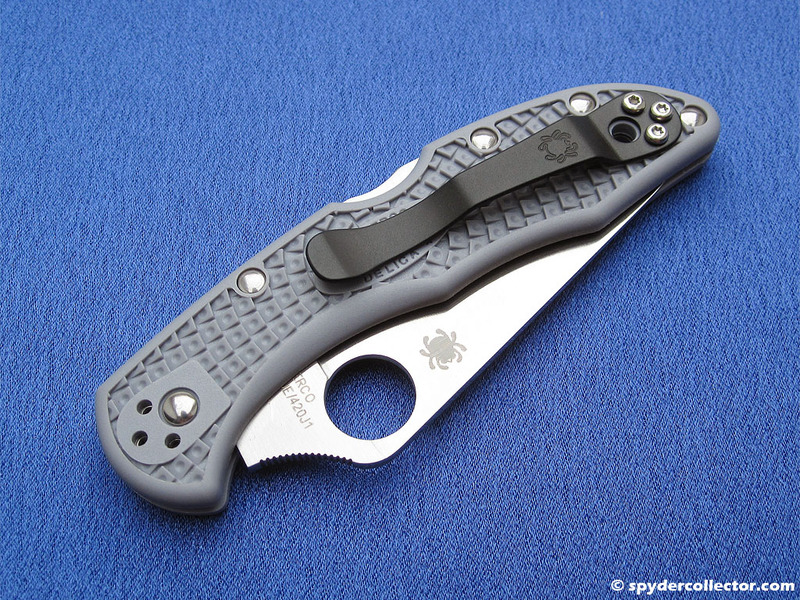 When I unpacked the Delica, I was struck by the odd blue/gray color of the handle and the light film of oil on the blade. 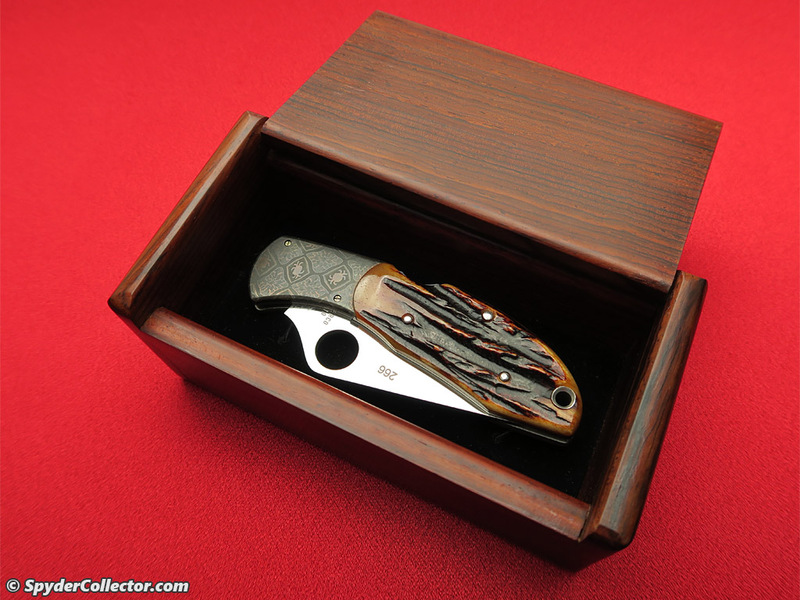 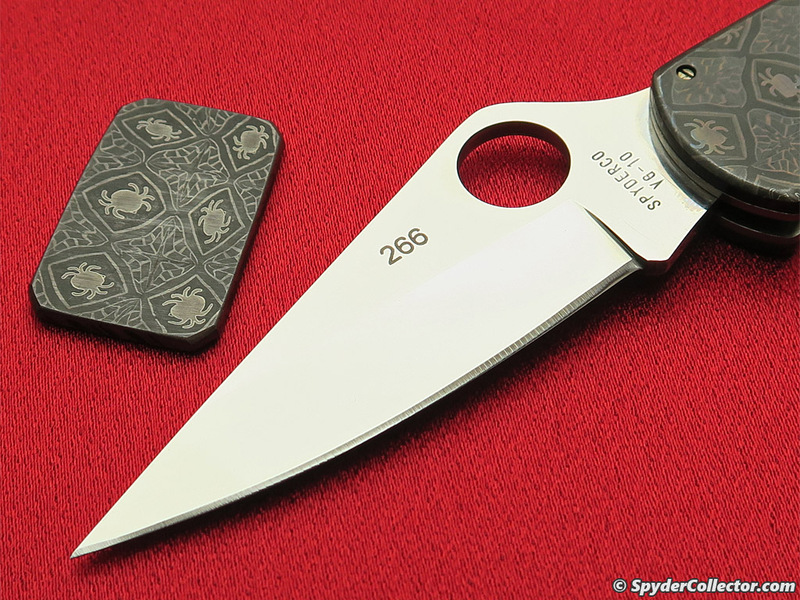 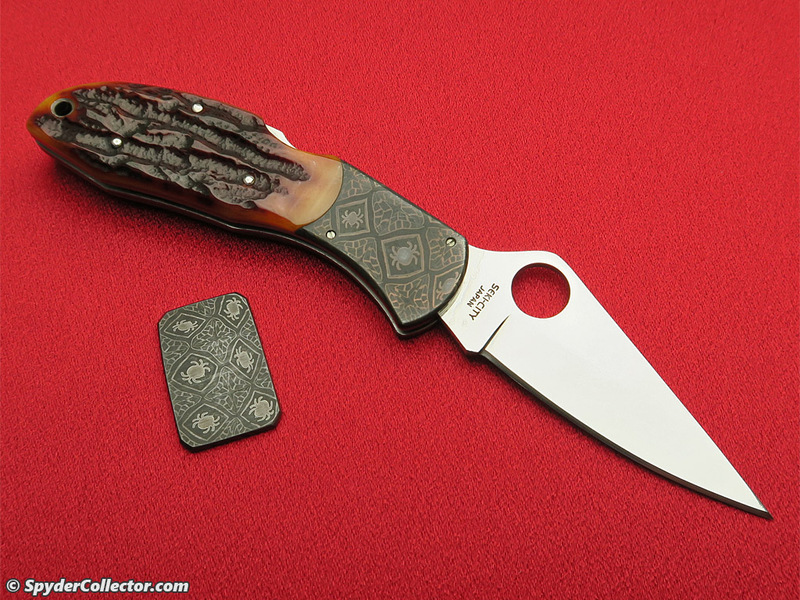 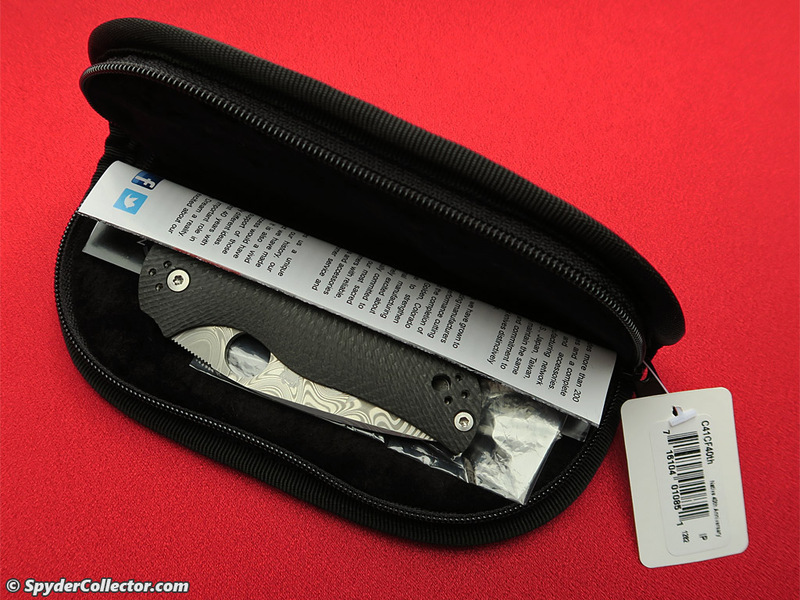 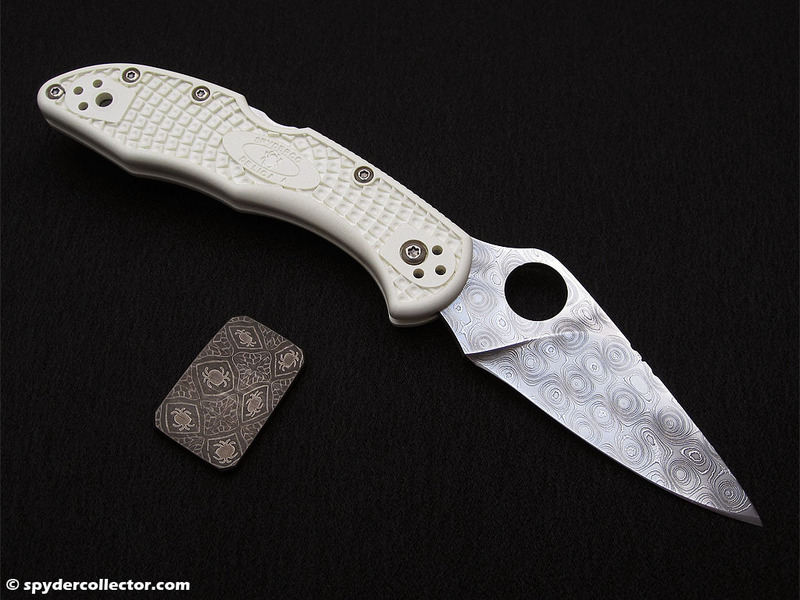 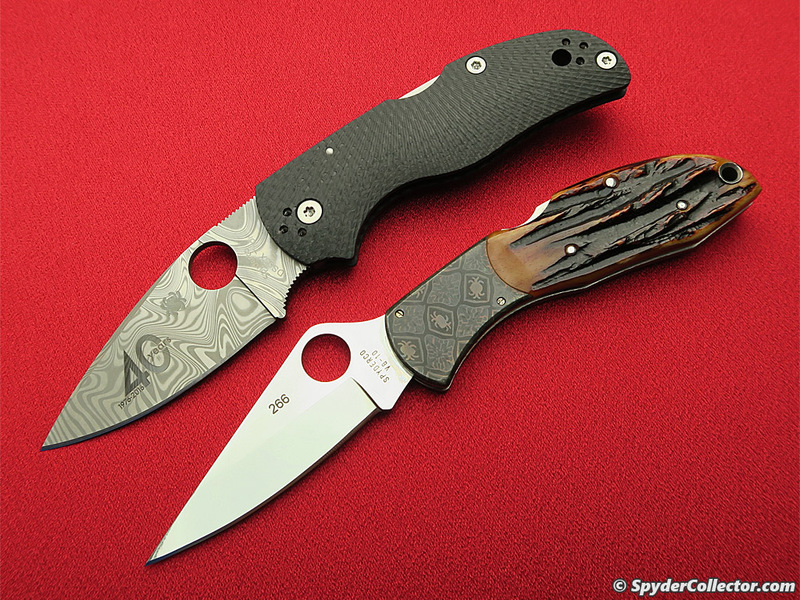 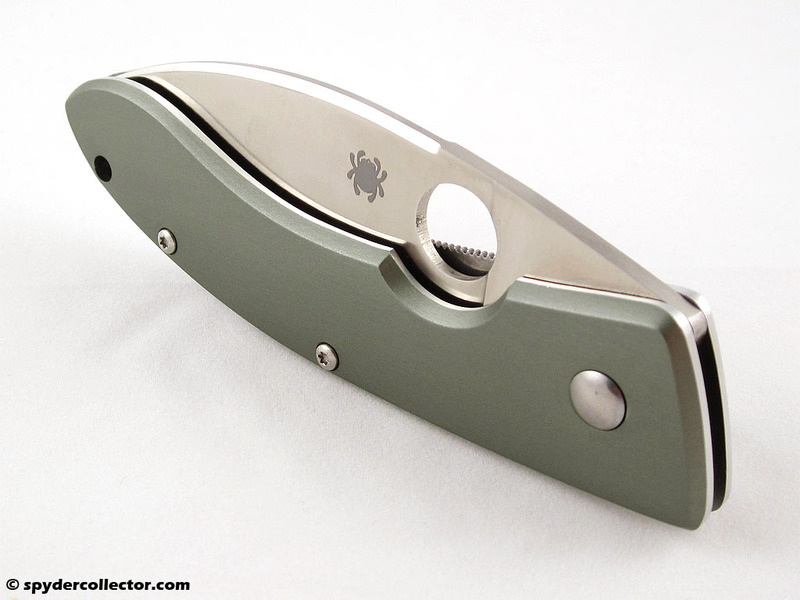 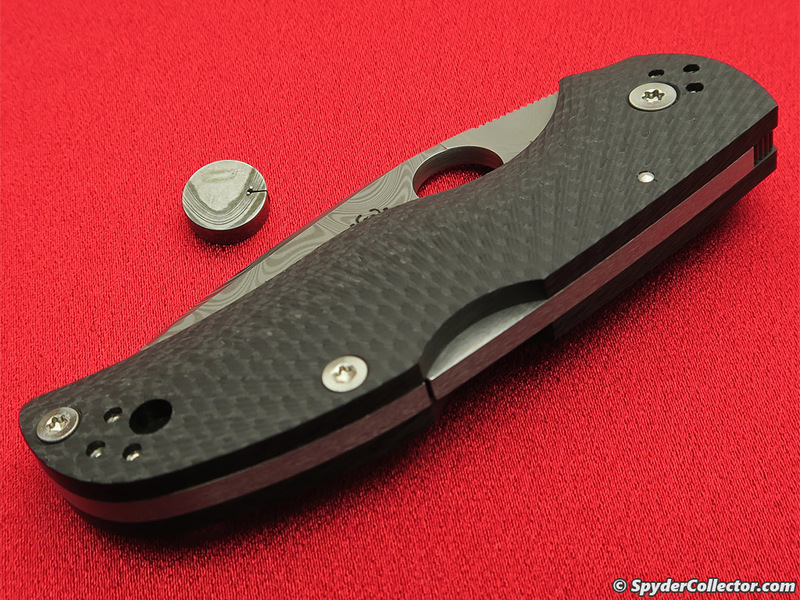 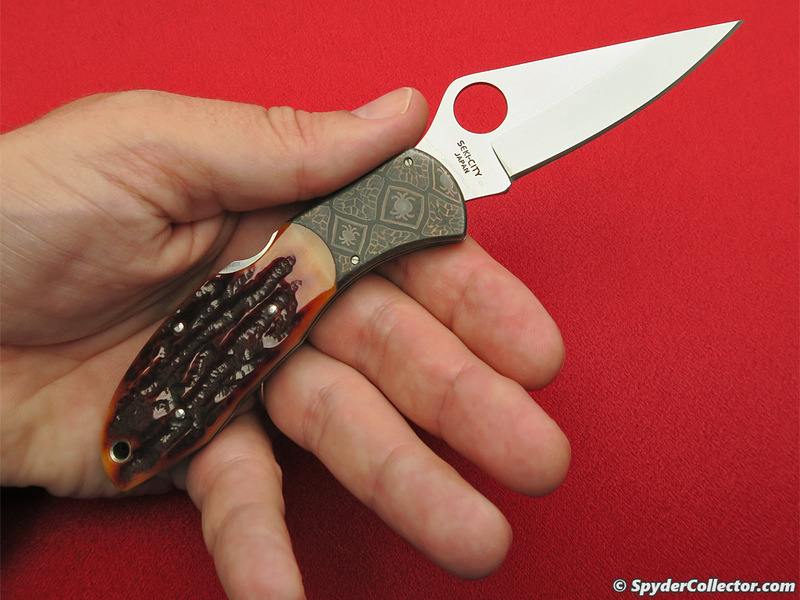 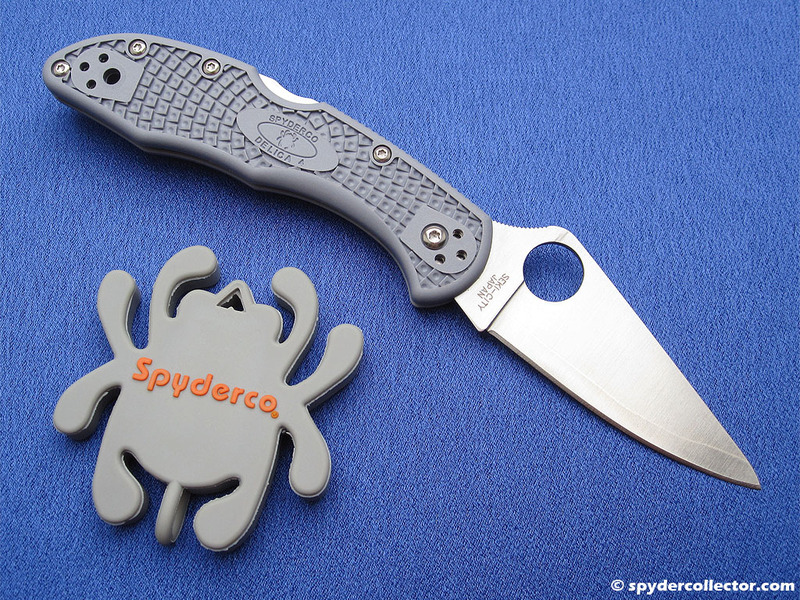 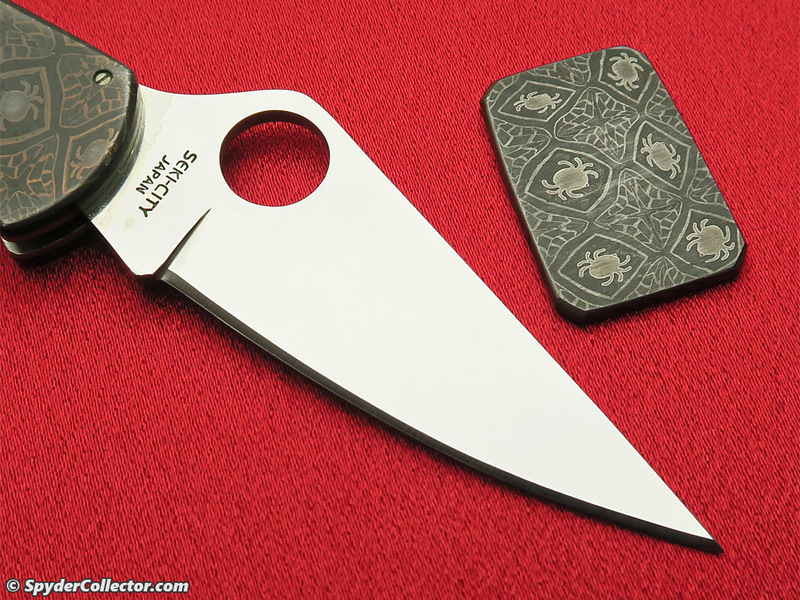 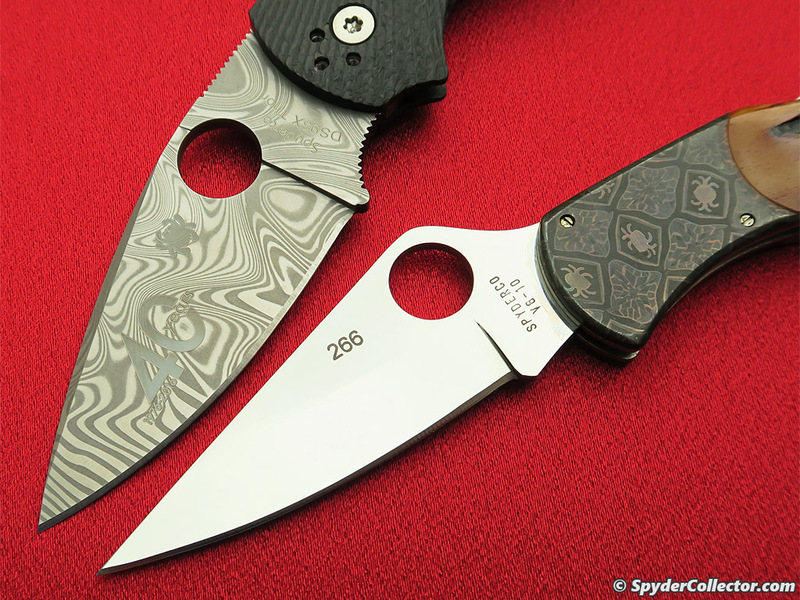 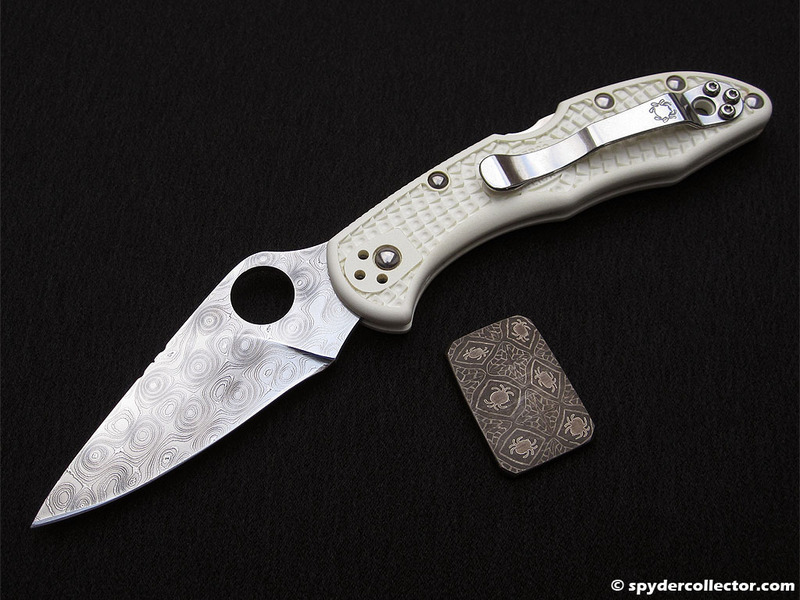 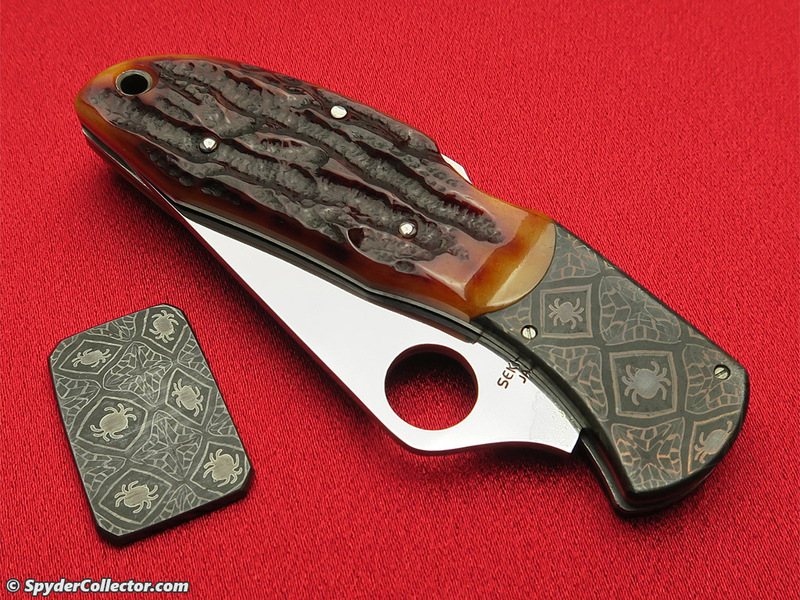 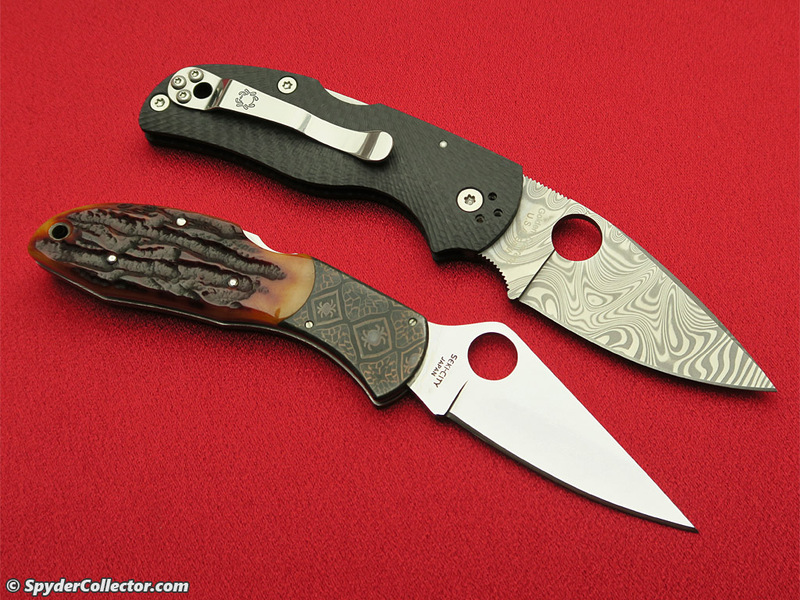 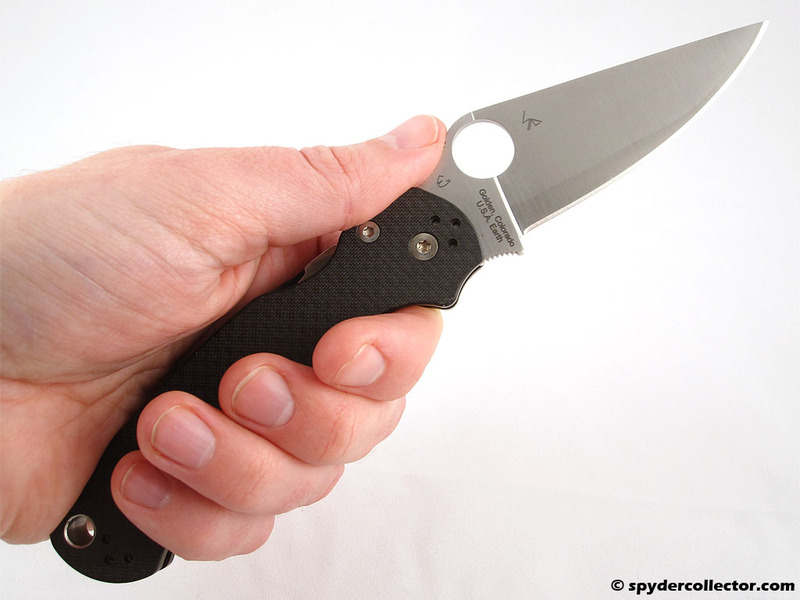 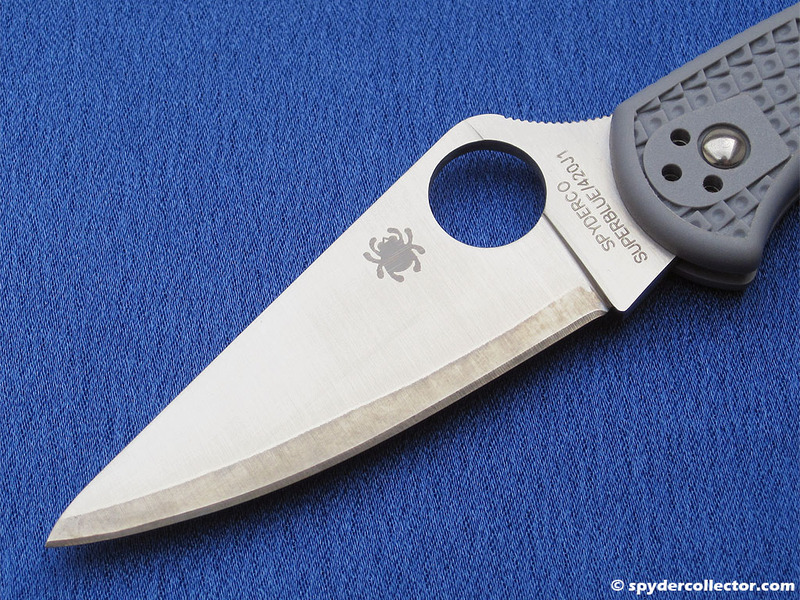 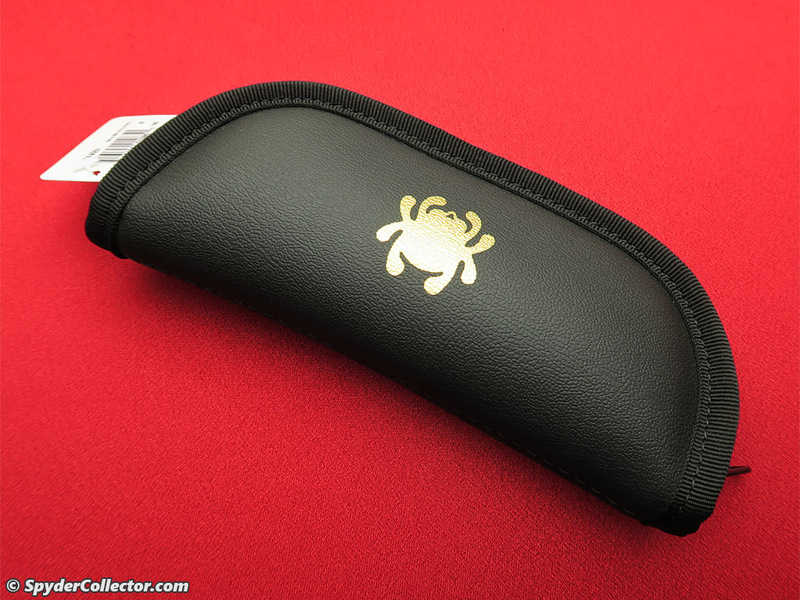 The Delica is one of my favorite Spyderco designs, so the knife itself was very familiar to me. 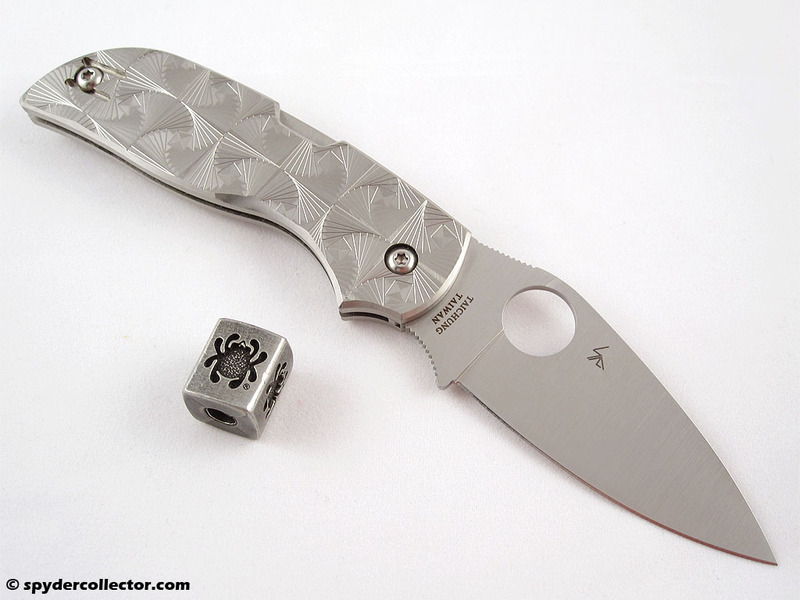 The edge was something else though. 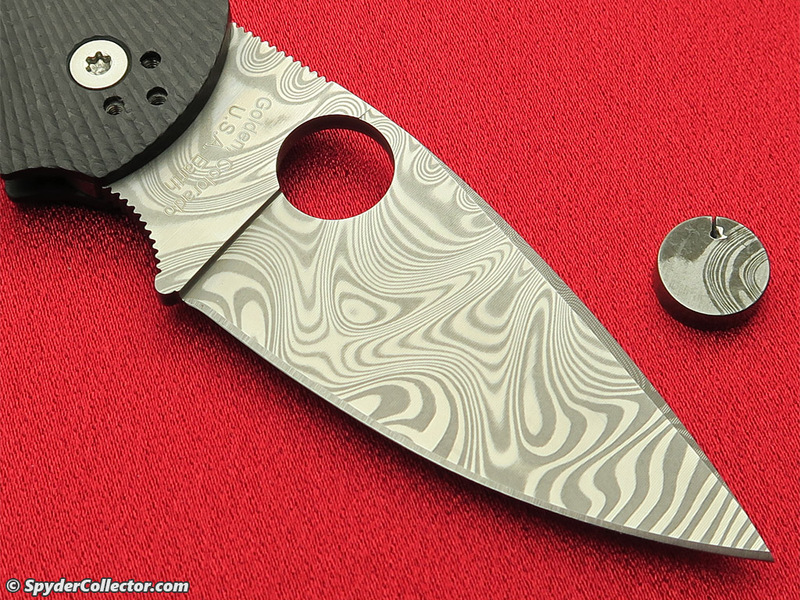 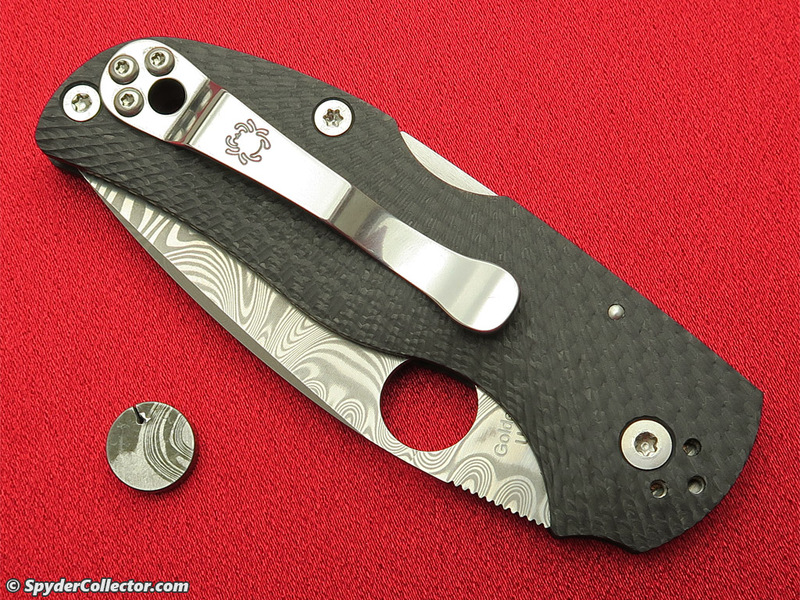 Out of the box, the edge on this Delica sprint run was probably the sharpest I have ever encountered. 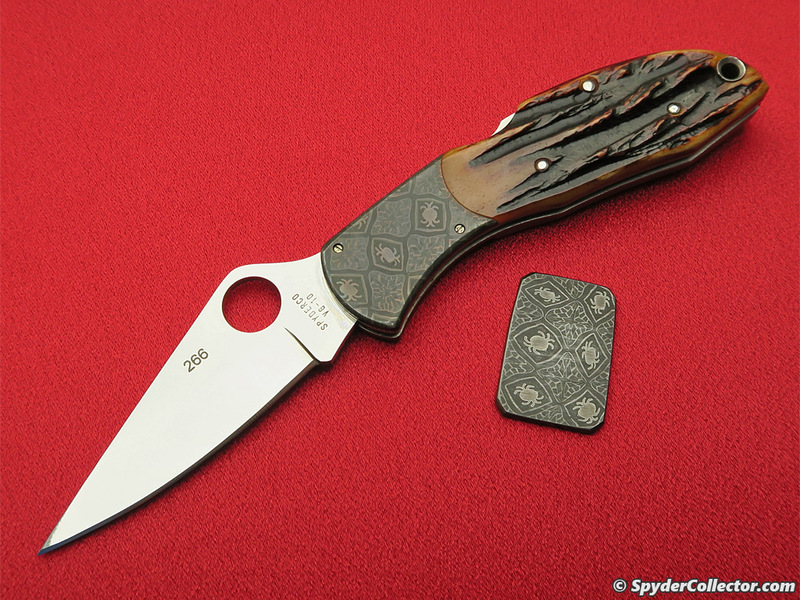 After a quick switch of the clip to the (for me) proper left-handed location, this folder was ready to go. 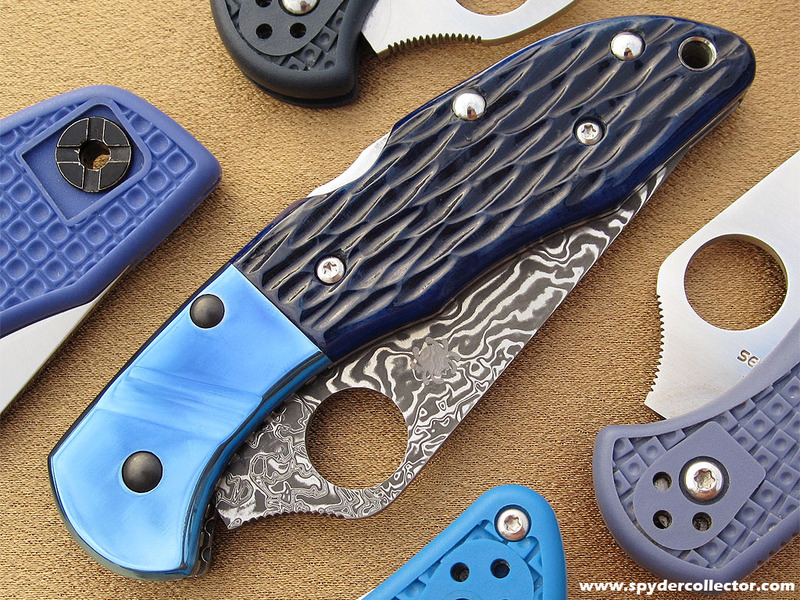 I proceeded to carry and use the Super Blue Delica as my only user for over a month. 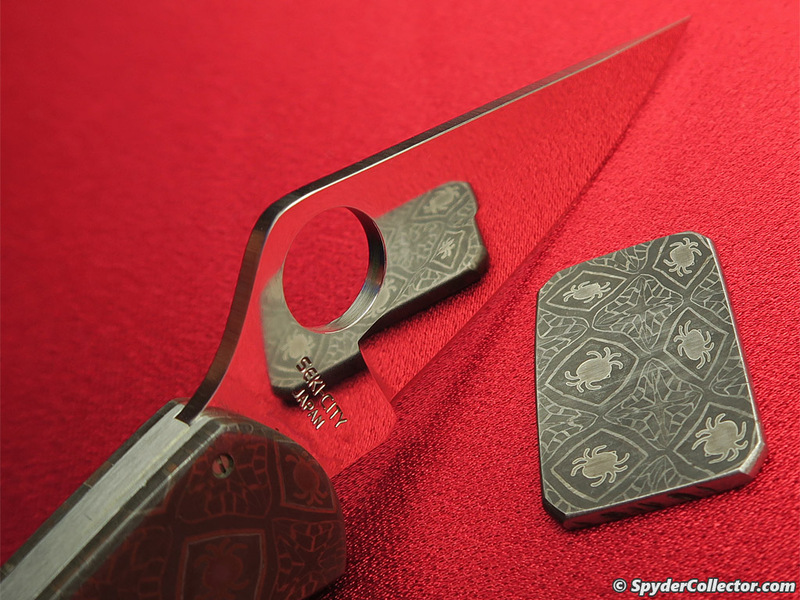 I thought it would be fun to track the blade’s progress in the accompanying pictures. 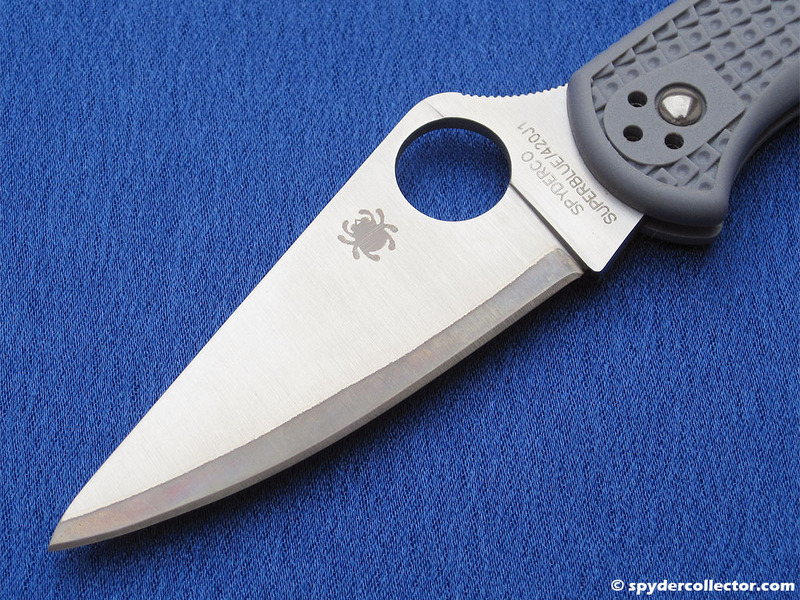 While the blade excelled in opening all sorts of packages, envelopes etc…, this folder shined in the kitchen. 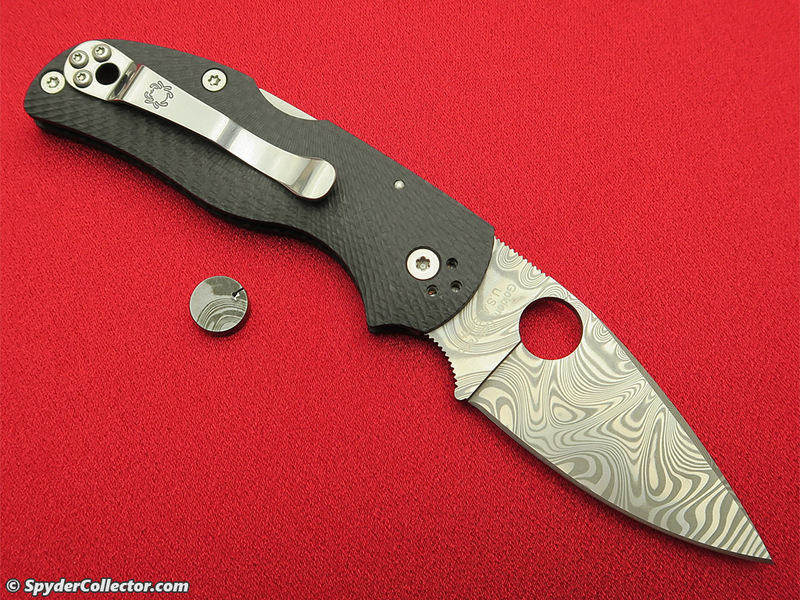 Cutting up fruit and food for dinner, caused the blade to tarnish. 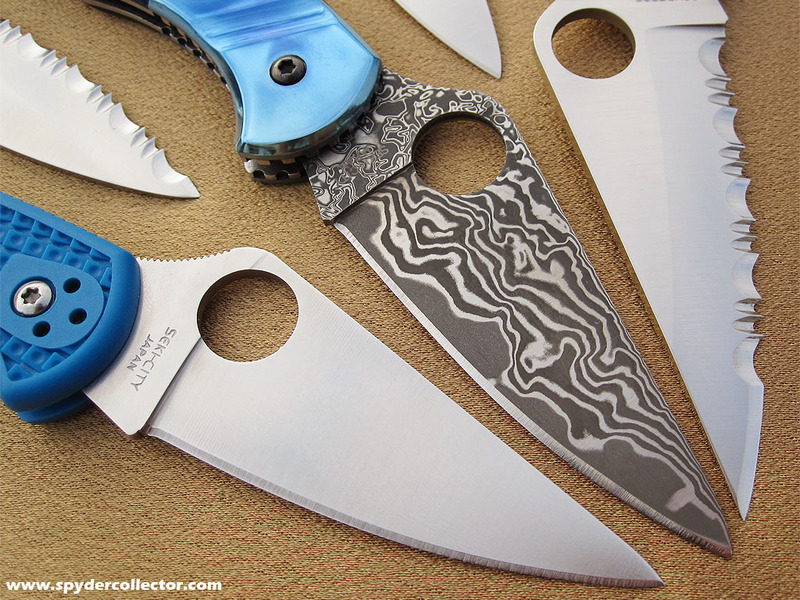 I actually started to enjoy this process. 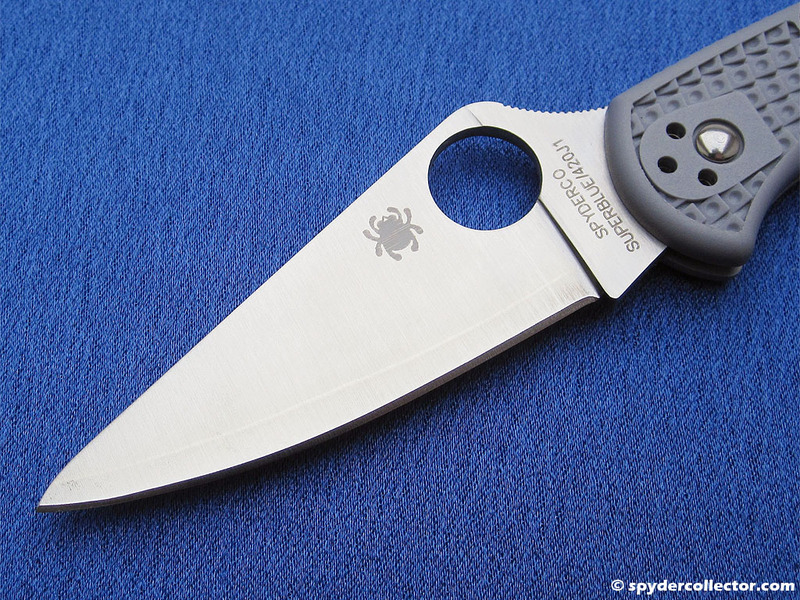 Each time I cut up some food items, I was curious to see how the blade would discolor. 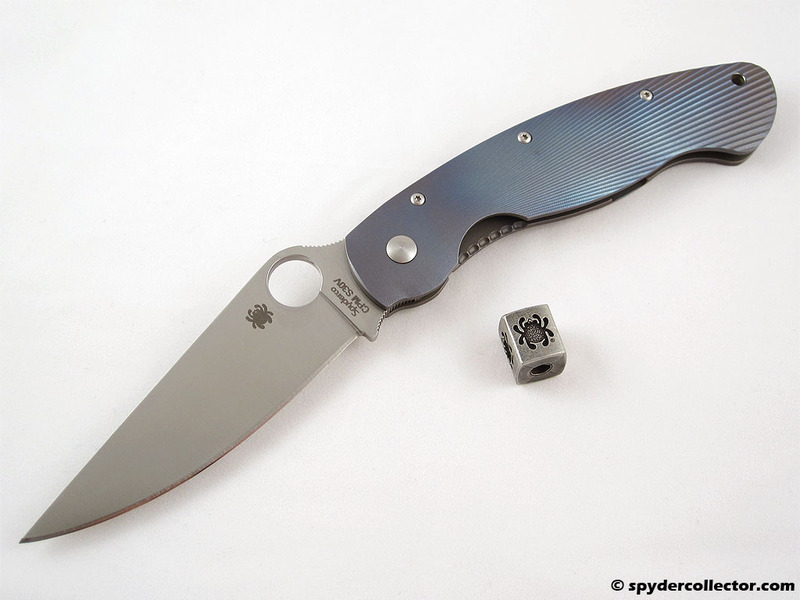 This thin sharp Super Blue steel was amazing for food prep. 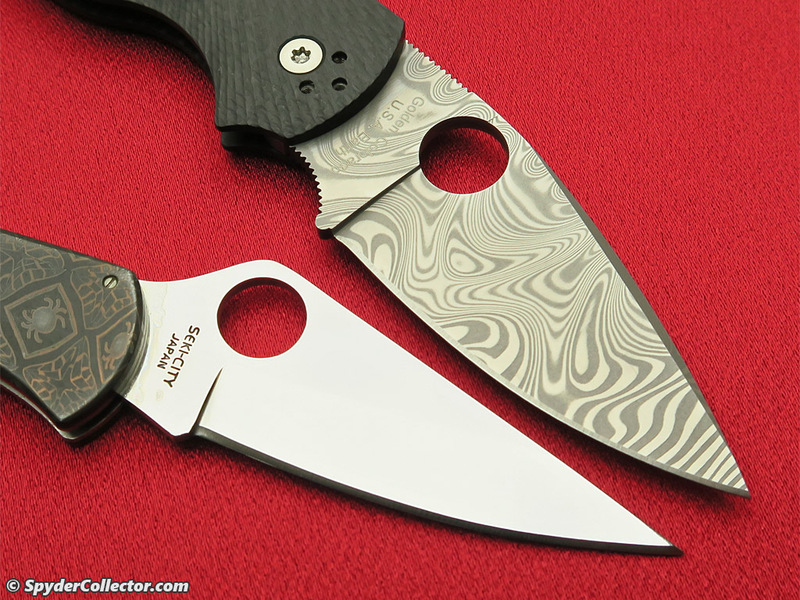 Somehow, the Super Blue steel seemed to cut ‘better’, and the edge seemed to have lasted longer than, say, my ZDP189 blades. 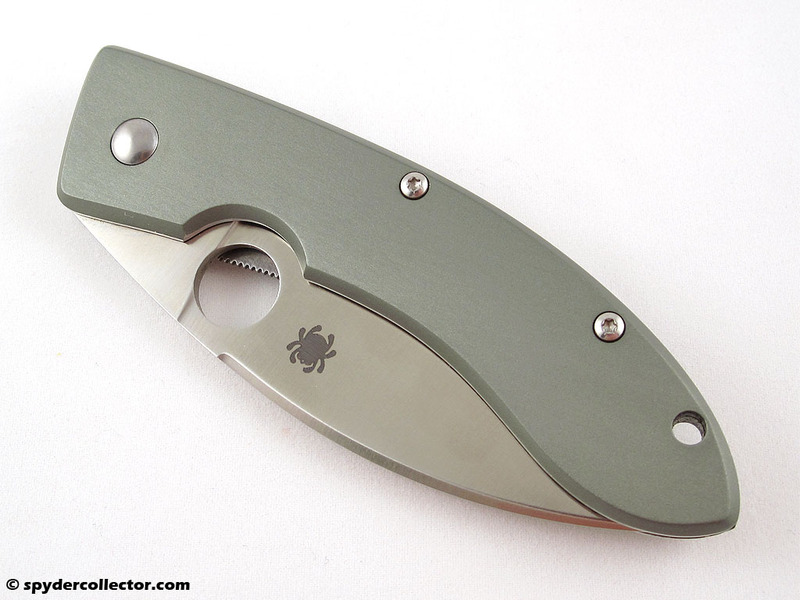 After a month I decided to sharpen it and that hair popping edge came right back after only a few swipes on my Sharpmaker. 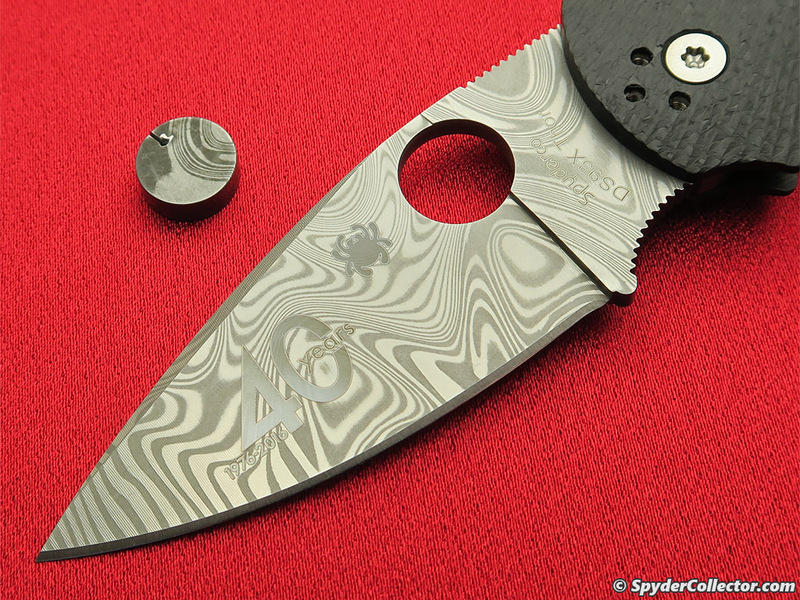 I wasn’t particularly hard on the blade, and the soft 420 steel that was used in the blade’s sandwich was hardly scratched up. 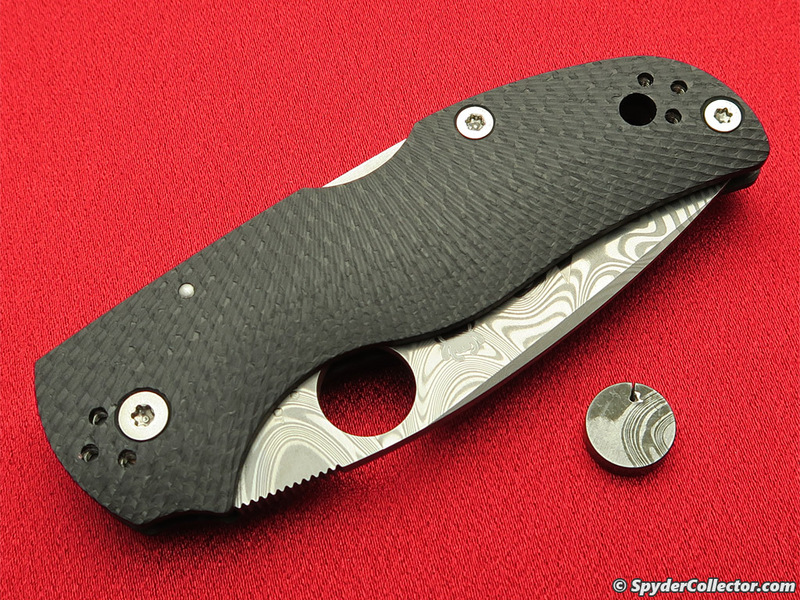 Overall, my little test and experiences with this particular flavor of Delica 4 left me very impressed with Super Blue steel. 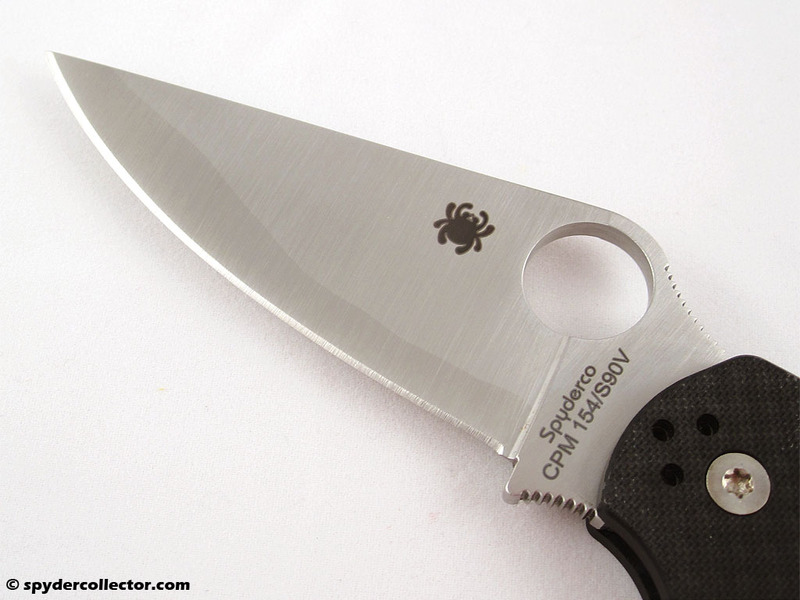 It’s very sharp and stays that way for a long time, and it sharpens very easily. 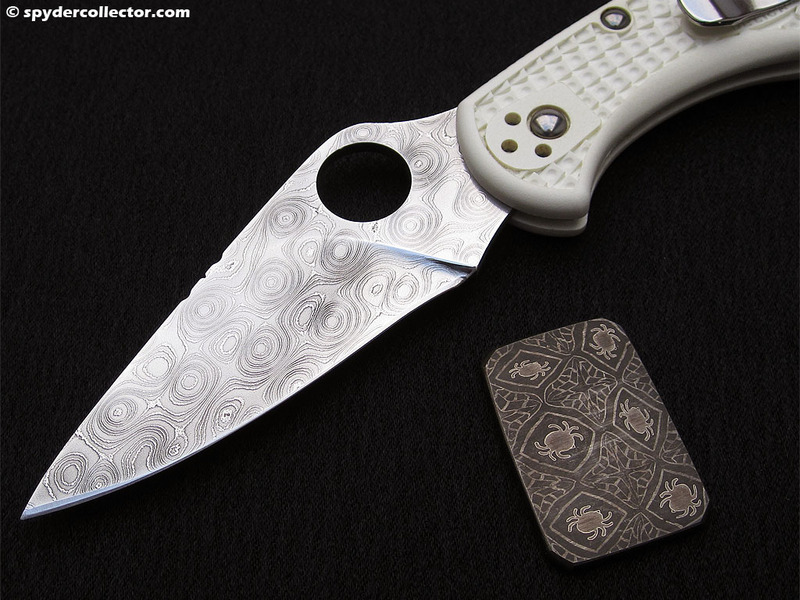 The discoloration was fun, and it adds a cool look to the rest of the stainless blade. 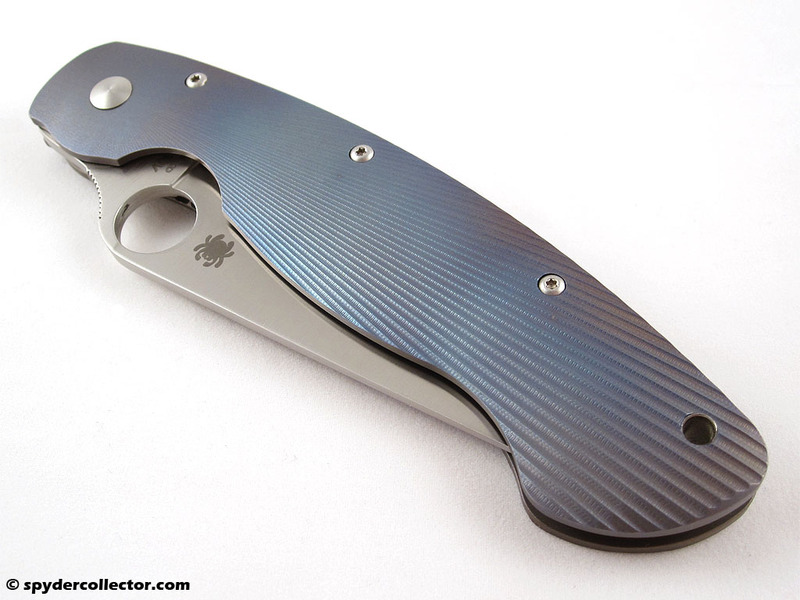 I totally get the appreciation for the full Super Blue sprints now. 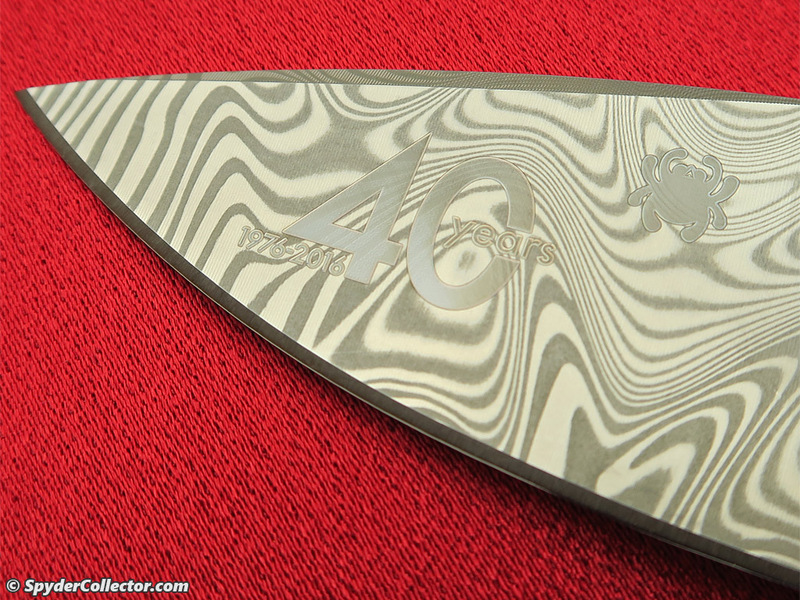 Still, I’m going to stick with the laminated blades for now and I’m looking forward to the laminated sprint runs. 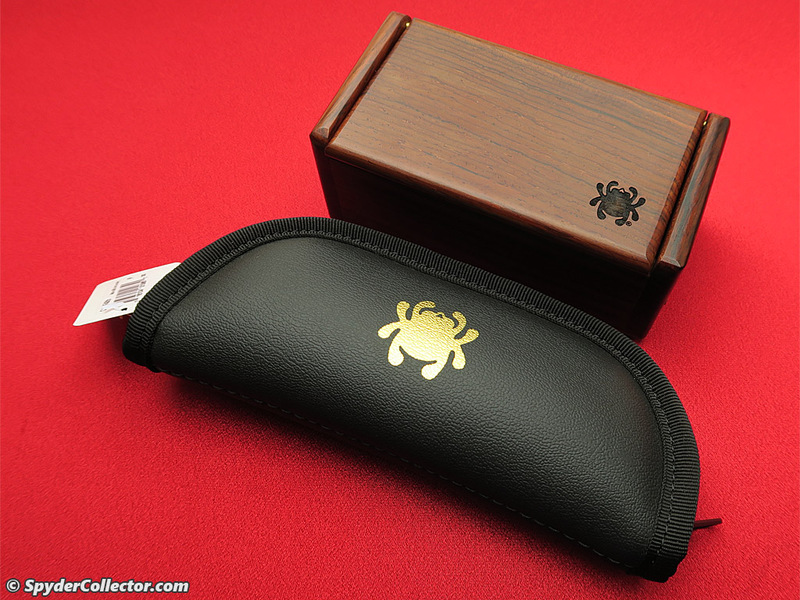 I am, after all, a user and collector.